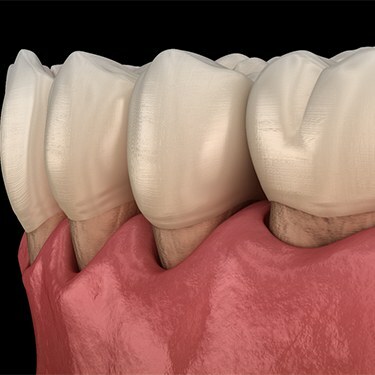 Periodontal disease (also known as gum disease) is one of the most common oral health problems in the world. In fact, over half of the population here in the United States is suspected to suffer from a mild to an advanced form of it! 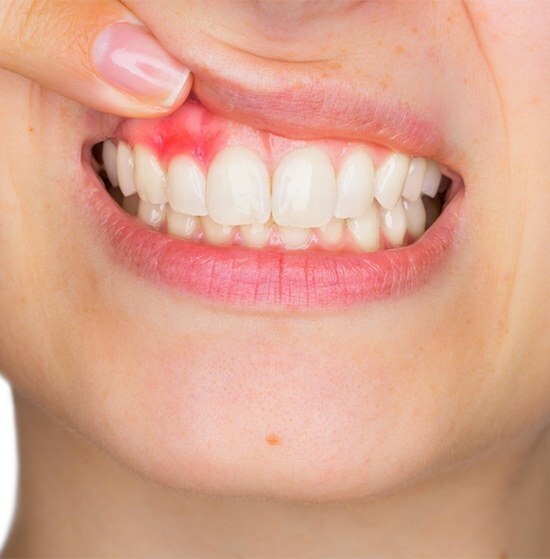 While this infection can seem rather harmless in the beginning, untreated cases can quickly spread and threaten your healthy teeth. Thankfully, our team has the skills and advanced techniques needed to stop it in its tracks here at Premier Family Dental. If you’re experiencing suspicious oral bleeding or overly swollen gum tissue, don’t hesitate to contact our Central Texas practice. When faced with relatively early cases of gum disease, our team can typically reverse the symptoms by providing more frequent cleanings and helping the patient improve their oral hygiene routine at home. However, this approach may not work for patients who have already experienced moderate damage. As a next resort, scaling and root planing can help eliminate infection and improve the health of your oral tissue. This procedure has two distinct sections to it. First, Dr. Cofer will target the areas along and underneath the gum tissue (the “scaling” portion), removing harmful bacteria as he goes. Then, it will be time to target the tooth roots, which can gain rough surfaces over time and attract plaque accumulation. By smoothing these areas (the “root planing” section), we can minimize your risk for further flare-ups. 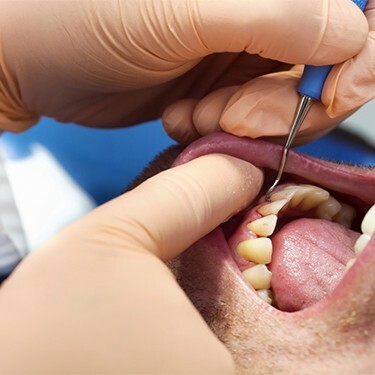 Antibiotic therapy is another form of periodontal treatment that is usually used in conjunction with professional hygiene and scaling and root planing. Following these services, our team will apply the medication to the gum tissue so that it can work on eliminating any left-over bacteria that may have been initially missed. Our goal is to maximize your success and leave your oral health in the best place possible!